As Deadline reports, Landis delivered the news while sitting on a panel for Dirk Gently’s Holistic Detective Agency, a BBC America show for which he is head writer. 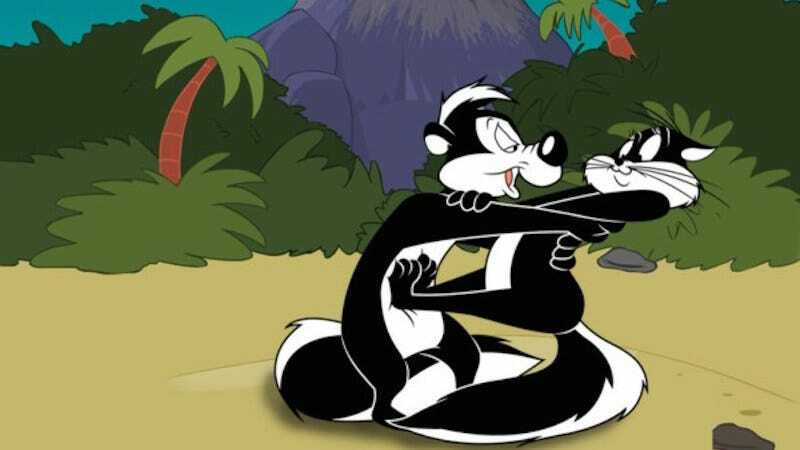 Perhaps Landis and Warner Brothers will adjust Pepe Le Pew’s character so that when Penelope Pussycat—of course this is her name—rebuffs his advances, he has the decency to get lost. Maybe the film can even offer an age-appropriate lesson on consent for kiddos. But frankly, I’m not optimistic that this cat-obsessed sexual predator can be redeemed in any meaningful or effective way. A children’s film featuring the skunk equivalent of Lothario simply seems in ludicrously poor taste. Sure, his romantic pursuits were originally framed as goofy antics, but we know better than that. Tread carefully, guys. And maybe rethink whether this movie actually needs to be made.